JERUSALEM — Prime Minister Benjamin Netanyahu, fighting for his political life after being accused of taking bribes from billionaire supporters, is no stranger to scandal. Over a three-decade political career, Netanyahu has been accused of everything from accepting improper gifts to spending too much public money on ice cream to wasting tens of thousands of dollars on a custom-fitted bed for a five-hour flight to London. Close confidants and even family members have also come under suspicion. With cat-like deftness, Netanyahu has always managed to escape prosecution. But the latest scandal may be the most serious threat yet to his lengthy rule. Police announced late Tuesday that there was sufficient evidence to indict Netanyahu for bribery, fraud and breach of trust in a pair of cases. In the first, he is suspected of accepting nearly $300,000 in gifts, including champagne and fancy cigars, from Hollywood mogul Arnon Milchan and Australian billionaire James Packer. In exchange, Netanyahu allegedly lobbied U.S. officials on Milchan's behalf in a visa matter and helped promote his business affairs in Israel. In the second case, he is suspected of offering preferential treatment to a newspaper publisher in exchange for favorable coverage. Netanyahu has angrily rejected the accusations and denounced what he describes as an overzealous police investigation. In a televised address Tuesday night, he said he had faced 15 investigations over the years, all of which, he claimed, amounted to "nothing." He similarly predicted the latest uproar would pass. For the time being, Netanyahu's job remains secure, with his coalition lining up behind him as opponents urge him to step aside. His attorney general, Avihai Mandelblit, will now review the evidence and make the final decision on whether to press charges — a process that is expected to take months. That means Netanyahu faces a difficult period ahead as his every move will be clouded by the looming investigation. Here is a look at some of the scandals that have plagued Netanyahu, his family and his confidants over the years. 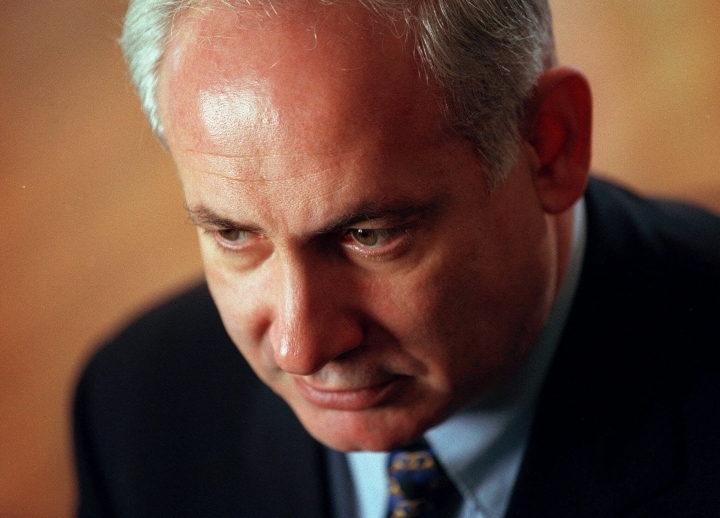 During his first term in office in the 1990s, Netanyahu was suspected of engineering the short-lived appointment of a crony as attorney general in exchange for political support from the Shas party. 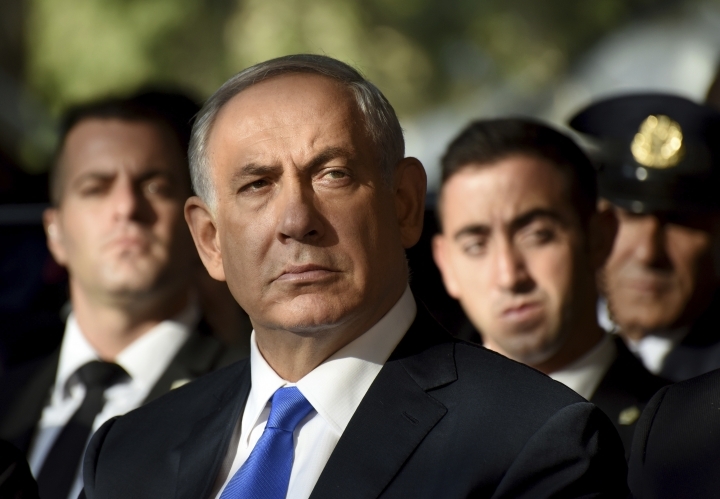 Prosecutors called Netanyahu's conduct "puzzling," but stopped short of filing charges. During that same stint as prime minister, Netanyahu and his wife Sara were suspected of taking gifts he received from world leaders — items considered state property. The Netanyahus also were suspected of accepting favors from a contractor. Both cases were closed without charges. Netanyahu was suspected of double billing travel expenses and using state funds to cover travel for his family in the 2000s, while he was finance minister and opposition leader. After a lengthy investigation, the attorney general dismissed the case. Sara Netanyahu has faced repeated allegations of mistreating household help. During their first term in office, the family's nanny said she was fired by Netanyahu's wife for burning a pot of vegetable soup. The young woman said she was thrown out of the family's home without her clothes or passport, and later was ordered to pick up her belongings dumped outside the front gate. Netanyahu's office said the woman was fired because she was prone to violent outbursts. More recently, a Jerusalem labor court awarded $30,000 in damages to a former employee of the first lady who claimed he faced yelling and unreasonable demands. Last month, a recording emerged of Sara Netanyahu screaming at an aide as she complained that a gossip column about her did not mention her educational credentials. In 2016, an official expense report found that Netanyahu spent more than $600,000 of public funds on a six-day trip to New York, including $1,600 on a personal hairdresser. Three years earlier, he was chided for spending $127,000 in public funds for a special sleeping cabin on a flight to London. Netanyahu said he was unaware of the cost and halted the practice. He also halted purchases at his favorite Jerusalem ice cream parlor that year after a newspaper reported his office ran up a $2,700 bill, mostly for vanilla and pistachio. Israel's attorney general announced last fall that he is considering charging Sara Netanyahu with graft, fraud and breach of trust for alleged overspending of over $100,000 in public funds on private meals at the prime minister's official residence. At the same time, the attorney general dismissed allegations that the Netanyahus used government money to buy furniture for their private beach house and used state funds to pay for medical care for Sara Netanyahu's late father. Last month a recording surfaced of Netanyahu's eldest son, Yair, joyriding with his wealthy buddies to Tel Aviv strip clubs in a drunken night out in a taxpayer-funded government vehicle. The 26-year-old Netanyahu has drawn criticism over the years for living a life of privilege at taxpayers' expense, hobnobbing with ultra-rich donors and making crude social media posts, all while never holding down a job. Defense Minister Avigdor Lieberman, a Netanyahu confidant, was suspected in a long-running corruption case of illicitly receiving money and laundering it through shell companies in eastern Europe. In 2012, Israel's attorney general dismissed the most serious charges, saying the case would be virtually impossible to prove. A report at the time said he noted that key witnesses lived outside the country, that Lieberman's lawyer had invoked the right to remain silent, and that two key witnesses had died while a third had disappeared. Lieberman was indicted on lesser graft charges. That case forced him to step down as foreign minister, but he was ultimately cleared and returned to the post a year later. David Bitan, one of Netanyahu's closest allies, resigned as coalition whip in December due to suspicions that he accepted bribes as a municipal politician. Bitan has invoked his right to remain silent during repeated police interrogations.